Dortmund will visit Tottenham who just took a sigh of relief after a dramatic 1-1 draw with Barcelona. Although Dortmund’s campaign has been quite phenomenal, they managed to score only 1 point from their previous three outings. With the league competition raising its bars, it would be a crucial moment for Dortmund to enhance their skills because their skill set displayed before won’t be sufficient. Lucien Favre is keen to use their unbreakable attacking set that had previously given a 2-0 win at Spain. So it is likely to say that Favre will be retaining the same line-up that gave them a lead against Hoffenheim. While Tottenham is already quite satisfied to reach the knockout stages, but their recent forms suggest that they can’t be a good contender in the coming fixtures. Days passed and Pochettino’s side slowly went to losing its pace. Some believe that Pochettino is still unable to sync the team with players as Fernando continues to lose its grip despite Pochettino’s favored system. Harry Kane will be missing from the action due to injury concerns while Son Heung-min will wear his mantle of the top goal scorer in this fixture. With Tottenham constantly getting face-planted in some crucial fixtures, what’s in store for them now? 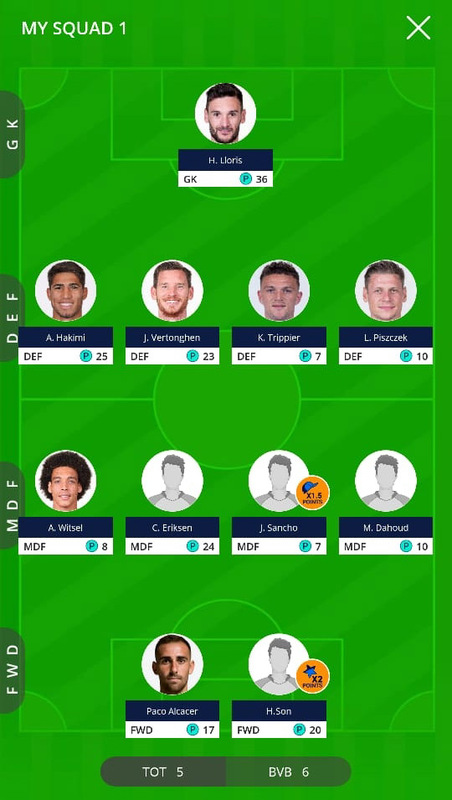 Tottenham Hotspur: Lloris; Alderweireld, Sanchez, Vertonghen; Trippier, Dier, Winks, Rose; Eriksen, Moura, Son. Borussia: Burki; Piszczek, Weigl, Diallo, Hakimi; Dahoud, Witsel; Sancho, Phillip, Guerreiro; Gotze. 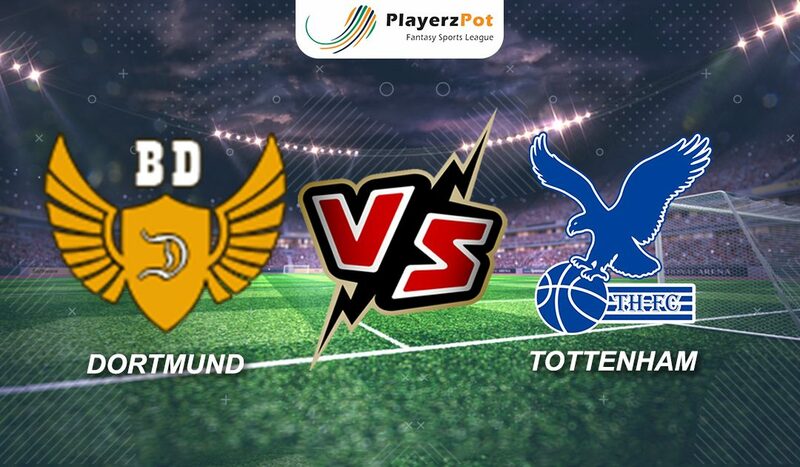 If we have to sum up this match in one line,” Tottenham’s weak defense vs Dortmund’s enthralling attacks.